The Subaru RGV2800 is offered to customers that are having an event or function located in areas with minimal or no electricity. This Generator provides 2800 watts running power which is enough to power a moonwalk! 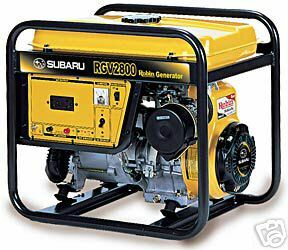 This generator will run approx 7 hours on a full tank of fuel!